Welcome to the 4th Anniversary of Shooters Guesthouse, Sports & Coyote Bar ! 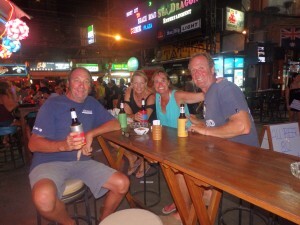 just mention Pattaya Channel on your visit and grab 50% off your beer bill. Shooters celebrated its 4th year anniversary of its soi 7 location…so we took the camera down to capture the party. .. There comes a time in all of our lives when really we should know that enough is enough. We can deny it all we like but in realty we have to accept that we are not as young as we ..
Never too old to “pull” in Pattaya Most people when they enter the twilight of their life start to get concerned that they will be alone and lonely. There is a simple answer to this especially if you are male ..
Pattaya is full of characters as well as many frustrated singers… as well as frustrated other things! 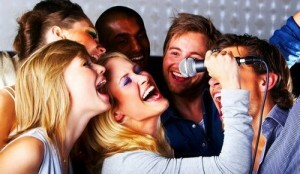 There are many ways to impress the local girls with your talents and what girl could fail to fall for your charms if .. If a Pattaya Bar Girl was an Animal What Would She be and Why? If a Pattaya Bar Girl was an Animal What Would She be and Why? It is surprising how often humans are likened to animals and the females of Pattaya are certainly no different. I think that most of us have .. Renowned for having the best looking girl in the area. One of Walking Streets newest and trendy venues. World Class DJ’s and Hot Girls , Party The Night Away Till The Early Hours!!!! The Hottest New Club on Walking Street.